The revamped Schola Green Lane level crossing in Morecambe. Photo by Chris J Coates. A popular railway level crossing looks brand new after a £30,000 makeover. The footpath across the railway line at Schola Green Lane in Morecambe has been upgraded as part of a national programme to improve safety at level crossings. 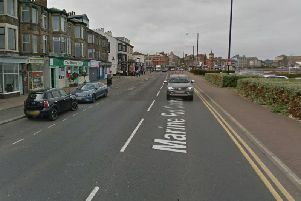 The revamped Schola Green Lane crossing in Morecambe. Photo by Chris J Coates. The crossing is now open again after it closed for eight days while the renovation took place. Work has included a wider deck across the railway, new fences and gates to make the crossing easier to use, and an improved approach to the crossing for better pushchair and wheelchair access. Thank you to Chris Coates for the photos. How the crossing looked before the upgrade.